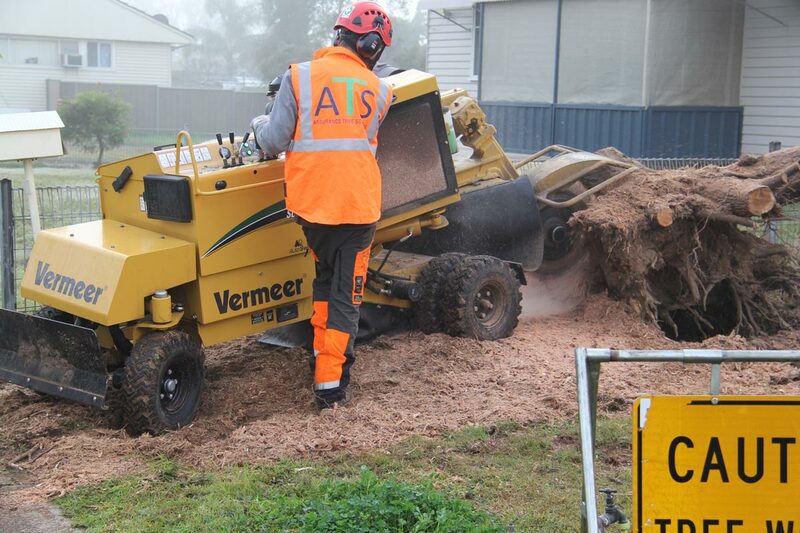 Grinding stumps is the most common method of small-scale stump removal by far. 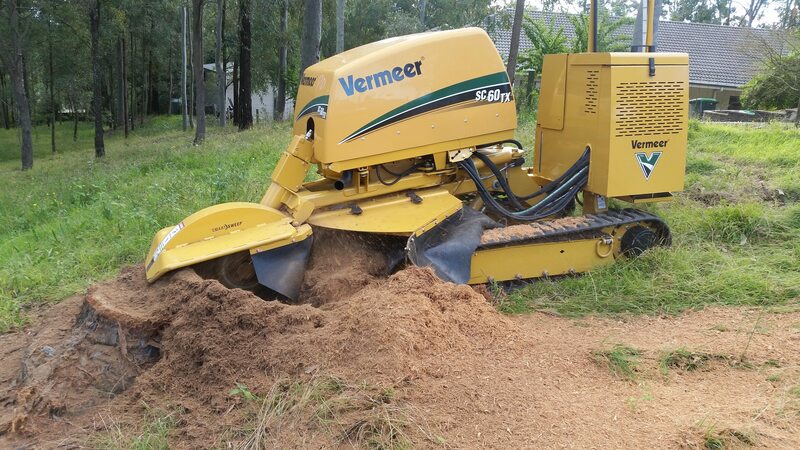 Grinding stumps with a specialised machine is a cost-effective way to remove stumps from the soil. After grinding, the chip is used to fill in the hole, which means there are no tip fees to pay for disposal of the stump, and no need to buy soil to fill in the hole. 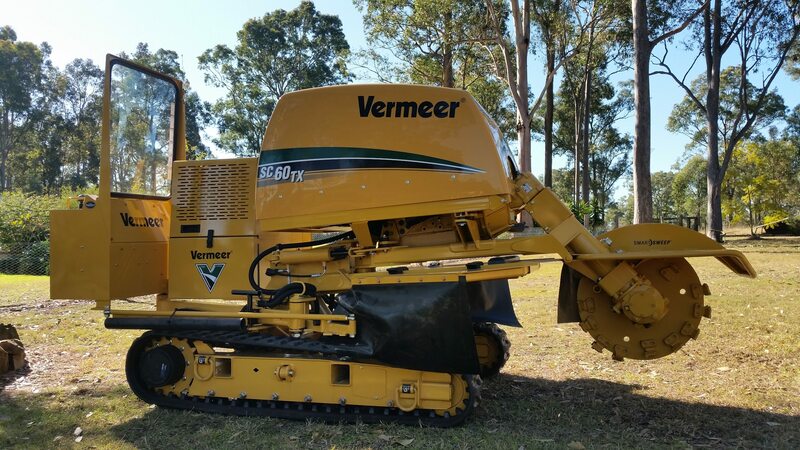 If you require removal of one stump, or hundreds of stumps, our equipment is able to get the job done. 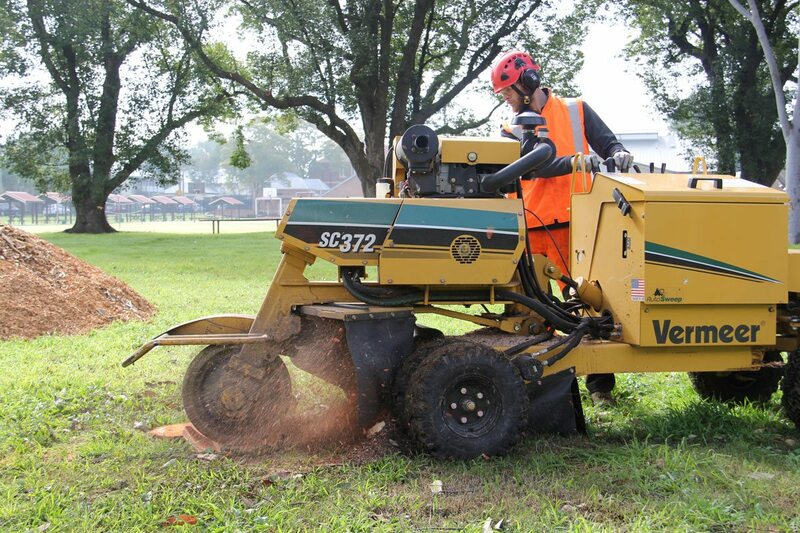 All stump grinding is done by our staff with our machines, which means there are no additional subcontractors to deal with. 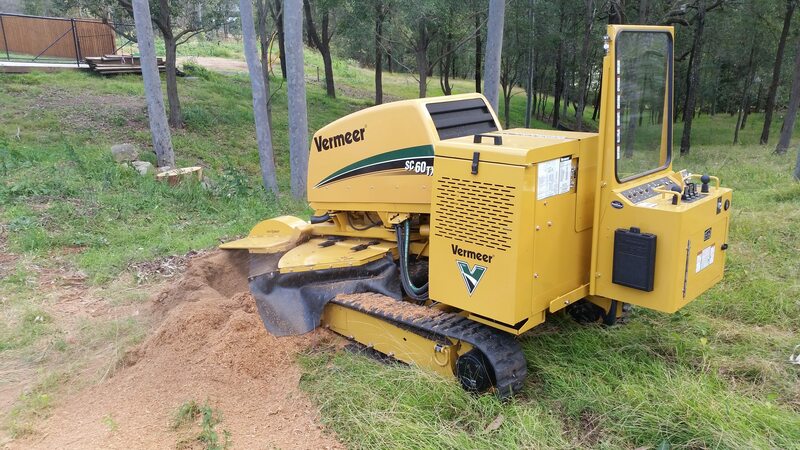 We can remove a stump to 600mm or more below ground level if required, and no stump is too big or too small for our machines. We conduct grinding all over the Hunter Valley, Maitland, Newcastle, Port Stephens, Lake Macquarie and the Central Coast. If grinding is not suitable for the situation, we can dig up stumps and take them away to landfill or to a place of your choosing. This is sometimes required when extensive earthworks are planned, or when construction is to occur over the site where the stumps are located. When contracted to do your job, we organise the whole operation so that there is no need to find additional contractors to get the works done. When tree roots are interfering with a structure or development, it may be necessary to prune the roots back and install root barriers to prevent damage to infrastructure. This can be a delicate job as roots provide anchorage for trees. It is important to have qualified and experienced arborists undertaking this task to make sure the tree remains stable. Contact us for services all over the Hunter Valley, Maitland, Newcastle, Port Stephens, Lake Macquarie and the Central Coast.